Sagbayan Peak, on top of the Chocolate Hills in Sagbayan, near Tubigon. 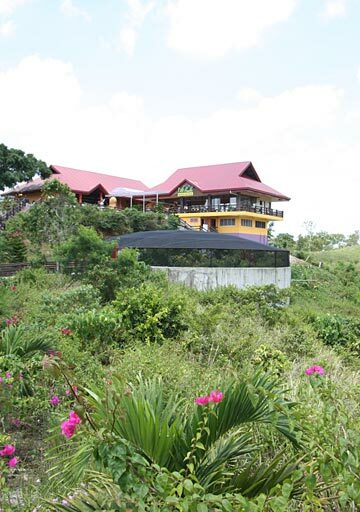 Notice the dome of the butterfly enclosure, where you can see numerous butterflies collected in the area. Admission 10 pesos, and the butterfly dome again 10 pesos. Based on the rating of 129 users. This picture has been viewed 65 times.